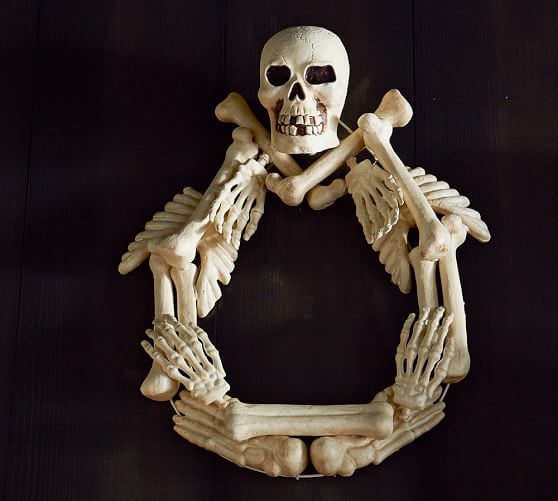 Did you see this wreath in the latest Pottery Barn catalog? Anticipating a busy fall season for us, I decided to make this way ahead of the season, so when the time comes, it will be all ready for me! I picked up this wire wreath form at Michaels arts and crafts. It was green and I spray painted it white. They come in different sizes. The one I chose was 18"
You will also need wire and wire cutters. This bag of bones is the plastic kind and I also got it at Michaels using a 40% off coupon. 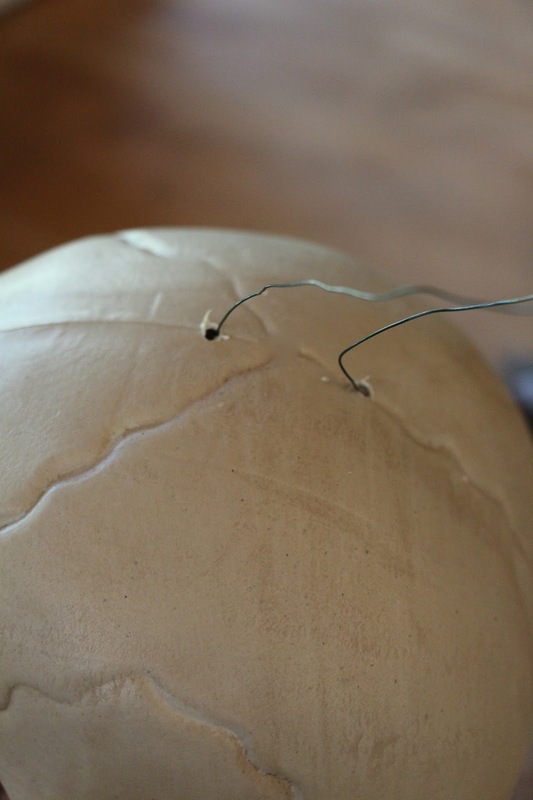 You'll need a drill with a small drill bit too. I laid my pieces out on the table first. This is when I realized I didn't have enough. A trip up to my attic solved that problem! I supplemented with foam bones, probably purchased at the dollar store. I will say, the plastic was easier to work with. After everything is laid out, use your drill to drill 2 holes close to each other and feed the wire through. Then simply wire the pieces onto the wreath form. When I was almost done I ended up hot glueing some of the lighter foam pieces on top of other pieces for dimension. 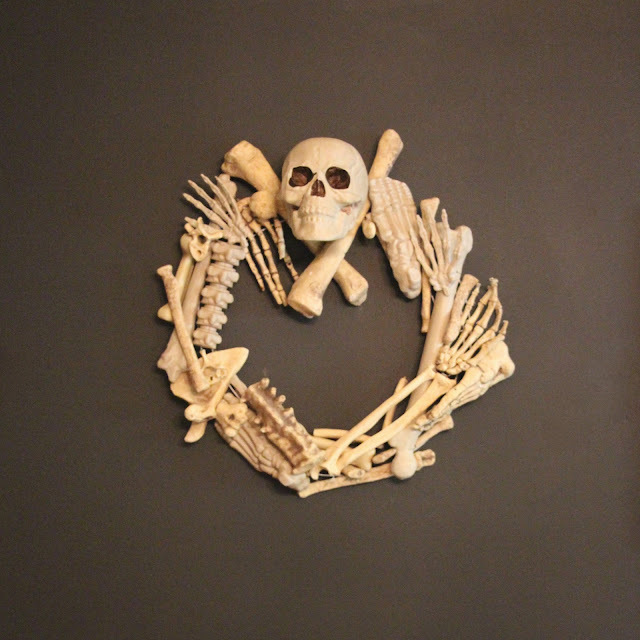 My version of the Pottery Barn Outdoor Bones Wreath. That is awesome! I may have to copy you!! Looks fab! I'm gonna have to copy that too! you are the PB knockoff champion. wonderful post. their images is very nice. Great ideas , Thanks for your post. You are truly to be commended. 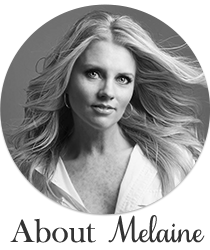 Your blog posts are very good about. I love this! We love Halloween over here and as much as we love our laid back Summer days, we are ready for Fall. You are so creative! 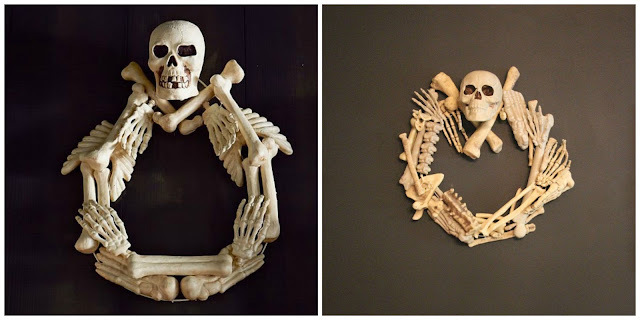 I have a bag of bones hanging around here somewhere so I am going to have to try this too! Thank you for sharing all your talents with us. Osteoporosis and stress are rarely linked as a health risk. But too much stress can lead to a lifestyle that destroys bone health. When it comes to fitness technology, this device sounds like a real winner!This is such a good invention. google adsesnse ko 2 din me kaise approve karaye?